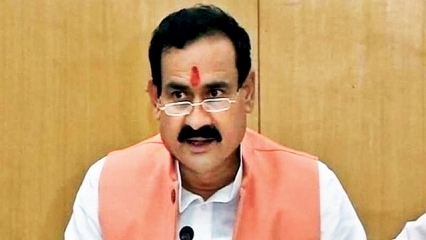 Bhopal: Minister for Public Relations, Water Resources and Parliamentary Affairs Dr. Narottam Mishra has expressed profound grief over the demise of Spiritual Guru Dada J.P. Vasvani. In his condolence message, Dr. Mishra has said that Late Guru Vasvani has endorsed veganism and animal rights. He was a humanist, philosopher, teacher and was a strong supporter of love and brotherhood. He was the head of Dada Sadhu Vasvani Mission since 1965. November 25th is observed as ‘Shakahaar Diwas’ every year by the Mission. As many as 150 books, which give valued guidance to life has also been written by Dada Vasvani.